This is a sample of my Roll it, Say it, Keep it packets. 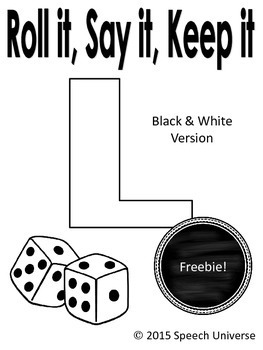 This is a black and white version of the L game. 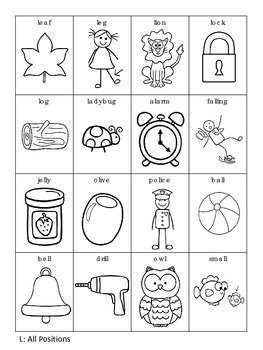 There are 16 picture cards that students may color and then glue to the game board. 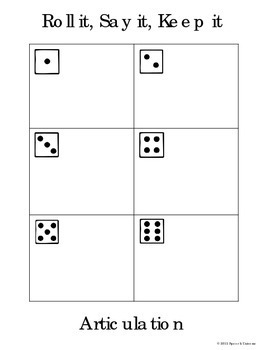 Students roll a die and then say their picture card the number of times rolled. They then glue the picture onto the board and color. They can take this page home for practice. 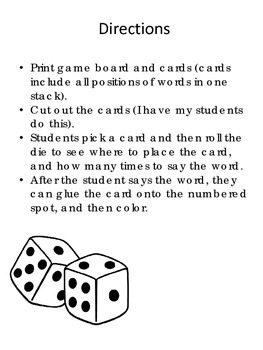 Simply have the students roll a die at home and say the word that they roll. You can also get all of these packets bundled together for 20% savings!! !